If you want real proof that you know your way around a critical tech area, then you want to get certified from the Computing Technology Industry Association (CompTIA). For almost 30 years, their seal of approval has been a major factor in helping IT pros land the jobs they craved. The 12-course collection features more than 140 hours of training in all the most important skills and disciplines a well-rounded IT pro needs. These courses touch on everything, including installation, preventative maintenance, networking, security, troubleshooting, customer service, client communication, cloud technologies, Linux systems, Wi-Fi, and even radio frequencies. Each course comes packed with the exact training needed to ace that particular CompTIA exam. So once you’re done, you’ll be prepared to pass a myriad of certification exams and move one step closer to nabbing the IT position you’re after. Whether you’re interested in maintaining complex network infrastructures or keeping hackers away from a company’s sensitive data, the training in this collection gives you the know-how and expert insight to get started on the right foot. Individually, these courses would cost over $4,300, but by grabbing this bundle now, you can get all this training for significantly less than the cost of just one course. 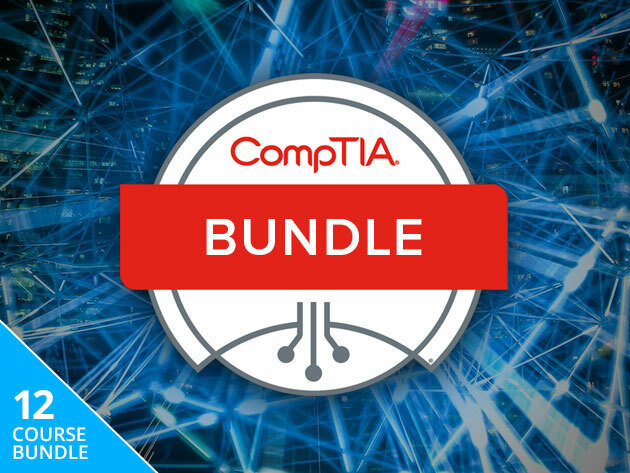 The Complete 2018 CompTIA Certification Training Bundle can be yours for only $49, more than 90% off the usual retail price.